I am excited to share with our GleanSLO community some background about the collection of unsold produce that we receive each Thursday night from generous farmers at the San Luis Obispo County Farmers’ Market. In early 2012, our GleanSLO Steering Committee met with Peter Jankay, Administrator of the San Luis Obispo County Farmers’ Market Association. We envisioned a partnership that would involve a dedicated weekly commitment from GleanSLO staff and/or volunteers, a willingness from farmers to donate excess food that is not sold at the end of the market, and a nearby agency that would partner with us for the collection and distribution of the fresh produce. After many brainstorming sessions to work out logistics, our plan moved forward when in September 2012 we received a grant from the San Luis Obispo County Community Foundation to develop and implement this program. Delighted to report that we have just celebrated our 3rd anniversary in September 2015 of this wonderful program! Through our joint efforts, 43,814 pounds of produce has been donated from farmers at the Thursday evening market. I was happy to have a few moments on a Friday morning with Lt. Henry Gonzalez from The Salvation Army when produce from the Thursday market is distributed to their clientele. Please tell us about who you are and what you do. My name is Lt. Henry Gonzalez. 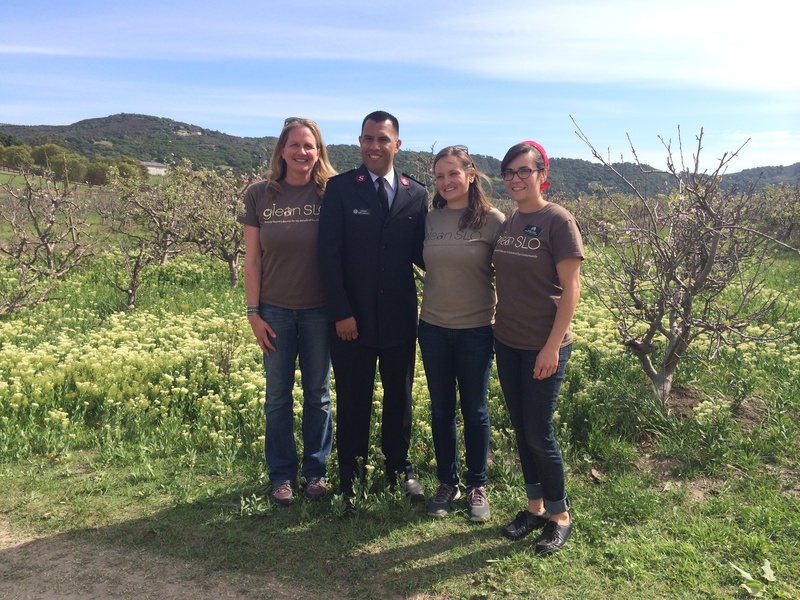 I am the Corps Officer at The Salvation Army, San Luis Obispo Corps. I grew up in Los Angeles. I consider myself a city guy and have always enjoyed the perks that came with that; Disneyland, Museums, Laker Games, Hollywood, etc. In 2013 I was commissioned as a Salvation Army Minister and was appointed to the beautiful and quiet town of San Luis Obispo. We’d love to know about your previous work. Anything that inspires you to be involved and give back to the community? 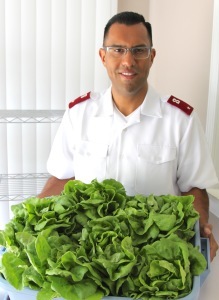 Before becoming a Salvation Army Officer, I had a few different jobs. From being self-employed to delivering medications to different doctor’s offices and hospitals to becoming a Sound Engineer/Technician for a few years. Since the age of 12, I was involved with The Salvation Army in Santa Ana, CA, through their summer camps, feeding the homeless programs, Sunday Open Air’s, etc. 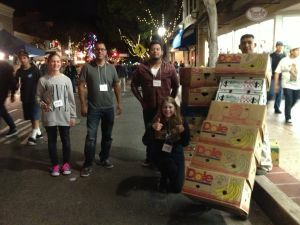 Can you share a personal story about being involved with GleanSLO and collecting fresh fruits and veggies at the market? Being part of this Partnership with GleanSLO has been an amazing experience because it takes me back to my teen years of involvement with The Salvation Army in East Los Angeles. At that time, they had a Partnership with the Los Angeles Food Bank who would donate canned goods, produce and cereal for us to give out to the East Los Angeles Community. This is exactly what’s being done here through The Salvation Army thanks to the doors which have been opened by GleanSLO to serve our San Luis Obispo Community. Anything you’ve learned about our local farmers who share with us each week? The thing that I’ve learned from our local farmers is……They are Generous! Can you describe the variety of food that we receive from the farmers at the market? How is this food distributed through The Salvation Army? We receive Lettuce, Tomatoes, Squash, Cilantro, Zucchini, Potatoes, Apples, Nectarines and many other types of produce. All this variety of food is distributed every Friday morning. 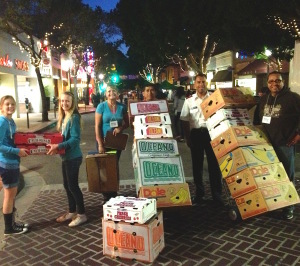 We have volunteers come in to wash any produce and sort before it is given to our San Luis Obispo Community Clientele. Do you have any ideas about the future of GleanSLO and the vision for a healthy community? How can we improve our work and our reach? 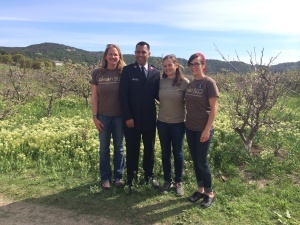 I’m aware that the GleanSLO Vision is to make the San Luis Obispo Community aware about healthy eating. So far they have done a great job about it and will continue to do so. Thank you so much Lt. Henry! 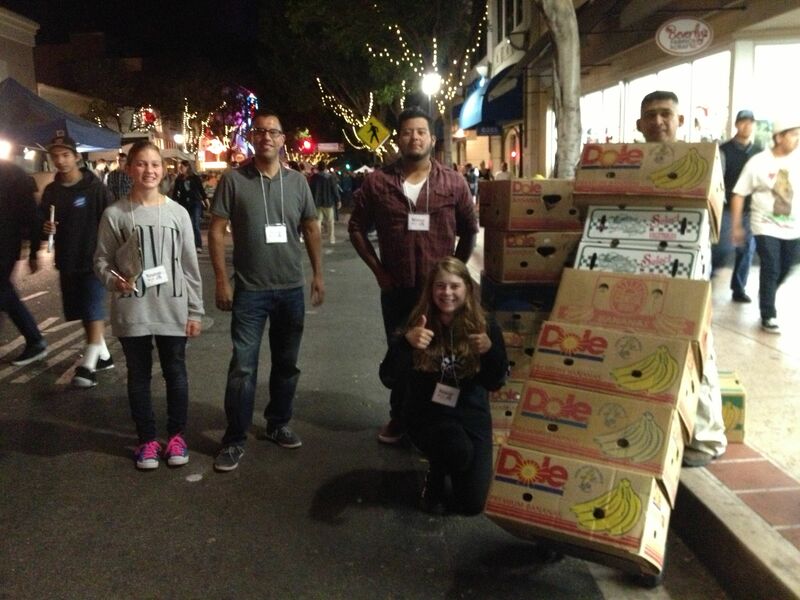 If you are interested in helping out as a GleanSLO volunteer at the market, please email us at gleanslo@slofoodbank.org or call (805) 835-3750. We are always looking for volunteers who can help out on Thursday evenings from 7:45-9:00 pm. 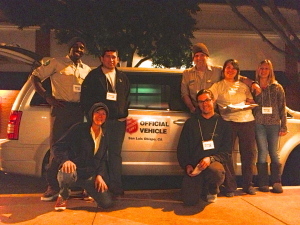 We would like to thank Peter Jankay, Administrator, San Luis Obispo County Farmers’ Market Association, The SLO Downtown Association, the San Luis Obispo County Farmers’ Market Association and Diane Boyd, The Salvation Army, previous Lieutenants Patty and Juan Torres, current Lt Henry Gonzalez, the generous farmers who donate to us each week, The California Conservation Corps and the countless volunteers who have helped us each Thursday night. We couldn’t do it without all of you! This entry was posted in Uncategorized on 10/13/2015 by gleanslo.